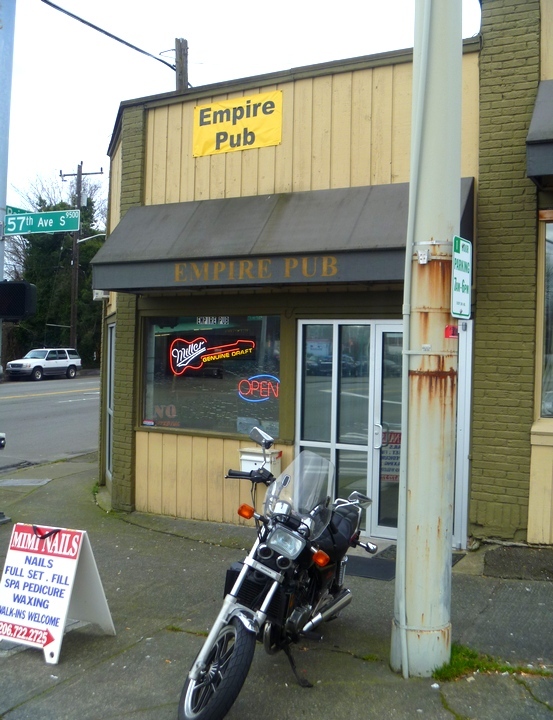 The Empire Tavern, named for its old location on Empire Way (before it was changed to Martin Luther King Jr. Way), is a classic neighborhood dive. It's been in the current location for about four years, but has a fine collection of old geezers. The walls are filled with Nascar paraphernalia and completed jigsaw puzzles featuring eagles, turkeys, Mt. Rushmore and Thomas Kincade-like cottages. 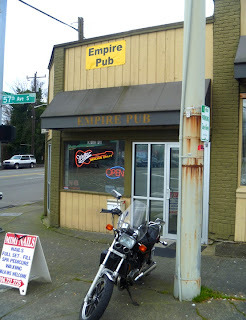 It's a good place to wear your dirty baseball cap and have a beer and some microwave popcorn.